Victor Williamson was a teacher at Central Elementary in Pleasant Grove, Utah, when the Space Shuttle Challenger exploded on live TV in his classroom, January 28, 1986. Christa McAuliffe, a social studies teacher from Concord, New Hampshire, was aboard Challenger. The space shuttle launch was broadcast to classrooms all over the country and McAuliffe’s mission was to conduct experiments and teach lessons from Challenger. Victor Williamson was so affected by the Challenger disaster that he decided to continue Christa McAuliffe’s mission at Central Elementary. In the beginning, Williamson taught his students about planets and space exploration with dials and knobs drawn on cardboard boxes while he hid behind his desk and used an overhead projector to simulate space. That was 27 years ago and now the Christa McAuliffe Space Education Center has four state-of-the-art spacecraft simulators. 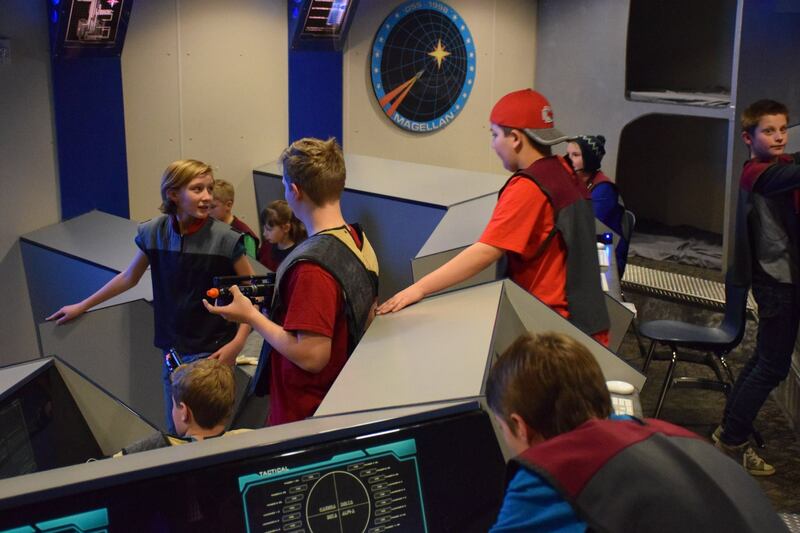 Fifth and sixth-grade students from all over Utah come to the Space Center in Pleasant Grove for field trips. Small groups rent out simulators for parties and corporate team-building experiences. The Center offers camps on weekends and during the summer, which helps keep the cost of the field trips low. “It’s a simulated learning environment and there’s a lot of studies out there that show the effectiveness of it. I don’t think there’s anything that has been so immersive as this program. Kids forget they’re in a school,” explained James Porter, Director of the Christa McAuliffe Space Education Center. The field trip groups are divided into teams before they go into one of the four simulators and get their “story” or mission. The missions range from an asteroid headed for earth to rescuing refugees from a hostile planet. Each simulator is equipped with a control room where an operator can see what is going on in the simulator and develop the story as the students make decisions. The operator can make sound effects, pipe in smoke from a smoke machine and put up visual screens as well. The teams get to see the effect of their actions immediately. 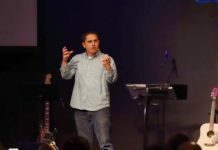 Not every mission is successful, which is also a valuable education for the students. “When they don’t succeed, they talk about it and go over their decisions to figure out what they could have done differently. This is something they keep thinking about for a long time,” explained Porter. Before they come to the Space Center, the teachers of the field trip groups choose teams and who will play what role on the team. There is a captain, a first officer, an ambassador, a tactical engineer, and other roles. The program emphasizes science, technology, and engineering, but it also includes the arts and humanities. Sixth-grade students at Central Elementary get to be actors in the different storylines for the missions. Students are also faced with very human situations. “Every once in a while, we get some great speeches from some of these kids where they’re standing up for the rights of someone else even at their own risk. It’s good stuff – it’ll give you chills,” said Porter. “Even though we have a lot of technology to help us, it’s the imagination of the kids that really makes it. They really imagine that an asteroid is coming toward them and they’ve got to figure out what to do. The role-playing makes the learning very effective,” said Porter. The Christa McAuliffe Space Education Center will be rebuilt and expanded over the next two years as part of the recently passed Alpine School District bond. The Center will be housed in a dedicated space at the back of Central Elementary instead of occupying classrooms within the school. Over the last 27 years of its existence, the Space Center has served more than 400,000 participants.